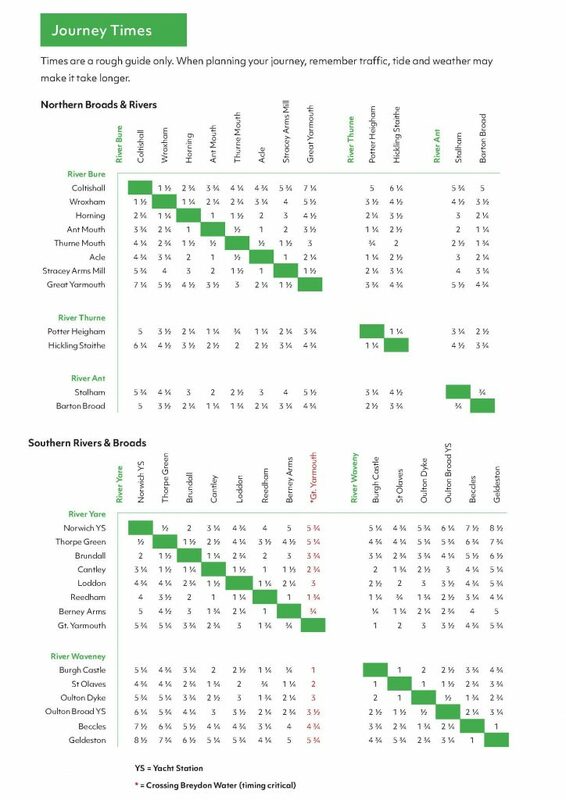 The chart below enables you to workout the approximate journey time by boat between villages & towns on the Northern & Southern Broads. All times are shown in hours and are rounded to the nearest hour. Please be aware that your exact journey time can be affected by boat speed, tides, traffic & weather. Please make sure you obey speed limits at all times.